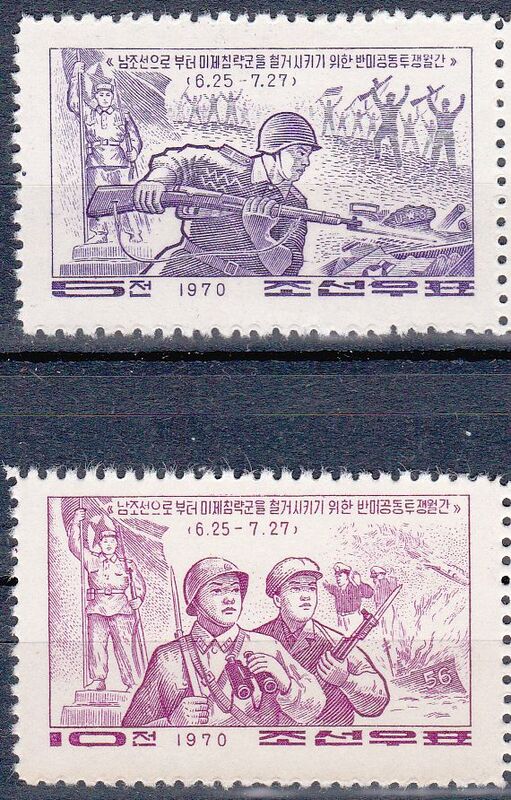 L4539, Korea Anti-USA Joint Struggle, Full set of 2 Pcs Stamps, 1970. MNH. 2 Pcs full set, issued in 1970. Due to the current situation, no anti-USA stamps wil be issued in the future.